True or false: There's a city in Turkey called Batman. Any guesses? The answer is "true"—and there's good news and bad news in that. The good news is that indeed, there's a city in the world called Batman, even if it is deep inside Turkey, a country the Batman franchise didn't penetrate until well after its creation in 1939. Indeed, while the naming of Batman took place well after the birth of Batman, the identical nature of the two is purely coincidental. Batman is a city (and province) today, but as recently as 60 years ago, it was a village of only a few thousand people. And, perhaps more interesting than that, both also had a different name: The village that became Batman city, you see, was called Iluh, while its province was called Siirt, until the late 1950s. Now, if you know anything about Batman (the character), you might be scratching your head. Since this renaming occurred almost two decades after the introduction of Batman, couldn't it be more than a coincidence that the Turkish city now bears its name? Unfortunately not. Batman city and province took their current names not because of DC comic superheroes, but because of the Batman River that runs through it. Not surprisingly, the things to do in Batman, Turkey are limited—for most of the types of tourists visiting Turkey anyway. Indeed, while some Roman ruins exist on the outskirts of town, it's well known that they pale in comparison to the ones you can find elsewhere in the country. In fact—and I'm not making this up—the most popular activity for tourists in Batman is to find one of the "Batman" signs beside the highway that leads you into the city and pose for pictures beside it. Owing to its location (relatively) near the Iraqi border, Batman has a substantial population of Kurdish people and can be a good place to learn about Kurdish culture if you don't care to cross into Iraq proper. People in Batman are actually extremely open to speaking about Kurdish issues, which is unique in Turkey, where the political landscape makes even candid discussions about this topic taboo, to say the least. Like many other cities in interior Turkey, Batman is not a party hotspot—it can be difficult or even impossible to find alcohol here. Interestingly, Batman is home to a restaurant with an important social mission, one Bruce Wayne would certainly be proud of. Known as "Labor Women" in English, it's a great spot for either tea or breakfast, and donates its proceed to help vulnerable women, both in terms of addressing their immediate needs as well as passing legislation to protect their rights. In spite of my fondness for Turkish Airlines, this post is neither an advertisement for nor an endorsement of them. I mention this disclaimer because of what I'm about to say next: The easiest way to travel to Batman is to take one of the daily Turkish Airlines nonstops from Istanbul's Atatürk Airport (or, alternatively, low-cost Pegasus Airways from Sabiha Göçken Airport, located across the Bosphorous in the Asian part of Istanbul). 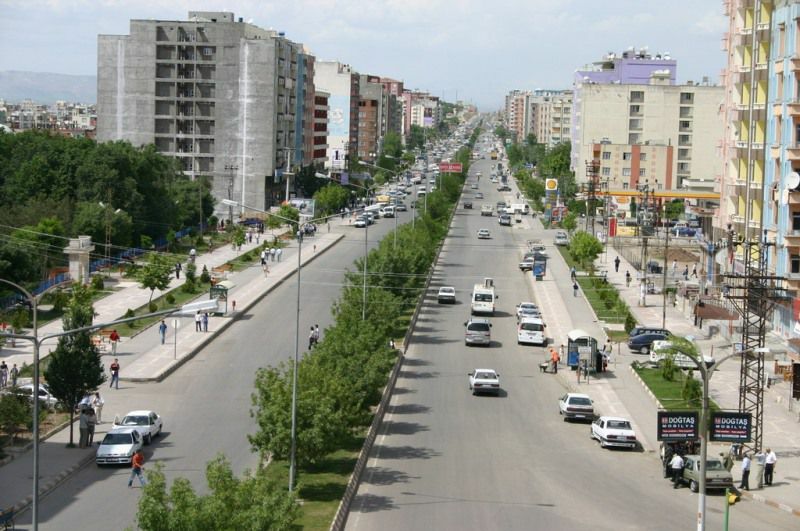 If you don't take flights available from other Turkish air gateways, namely Ankara and Izmir, your best bet is to travel to Batman from cities located in surrounding Anatolia state—namely, Diyarbakır or Kurtalan.